The EagleBank Foundation held its 11th Annual Fight Against Breast Cancer Golf Tournament on Monday, October 12, 2015. The event raised over $380,000 and had 236 players, making this the best event to date. 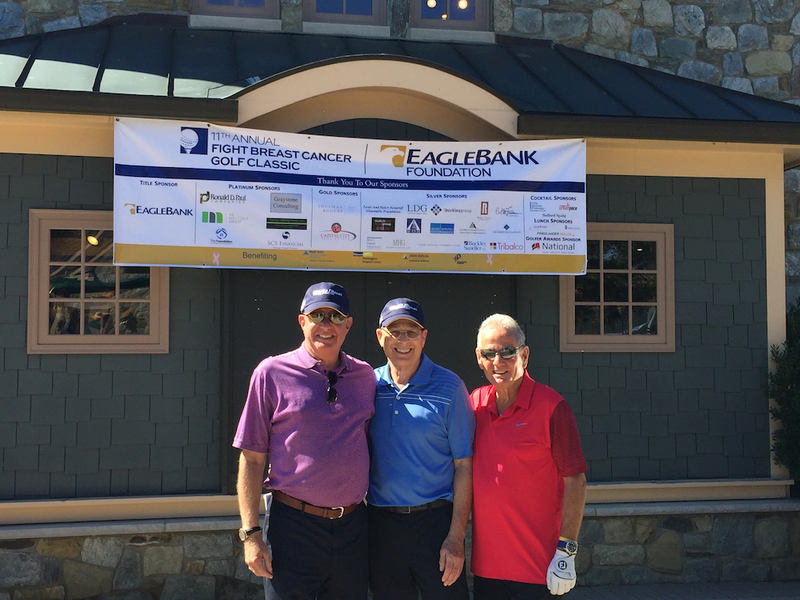 Our very own Don Rogers, EagleBank Foundation chairman and EagleBank board director, is pictured here with EagleBank chairman Ron Paul, and EagleBank vice chairman Bob Pincus.